Free Shipping Included! Star Wars May The Force Be With You Jedi Message Tie Bar, Officially Licensed by Cufflinks at Mas Fashion. MPN: SW-MTF-TB-040. Hurry! Limited time offer. Offer valid only while supplies last. 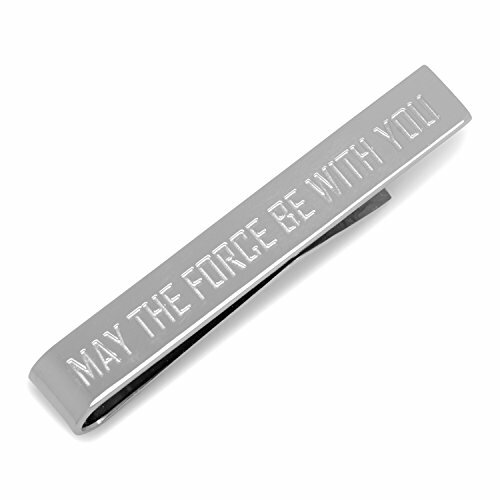 This Star Wars tie bar is a polished silver tie bar inscribed with the well known Star Wars phrase, May the Force be With You, on the front of it.